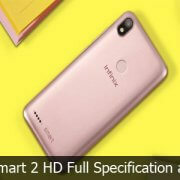 Infinix Company just unveiled the new Infinix Smart 2 HD. This device is the latest addition to the infinix Smart collections. 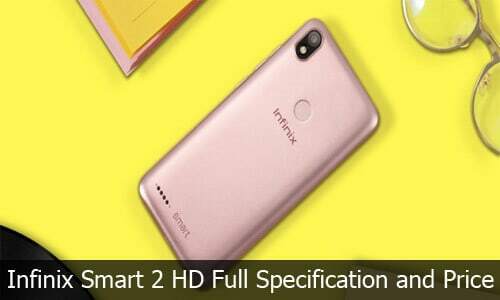 The new Infinix Smart 2 HD comes with a slightly bigger display and it is the successor to the infinix smart 2 and smart 2 Pro. Infinix Smart 2 HD comes with a 156 x 76 x 8.2 mm dimension and it also comes with a resolution of 18:9, 720 x 1440 pixels, 268ppi. The operating system of this smartphone is Android 8.1 Oreo. Below are the full specifications and the price of the smartphone. The Infinix smart 2 HD is available on shopping stores. The device is priced around: $85 and above.